We went to 5-Star for supper after KTV session with friends. Parking was a nightmare, all parallel lots and not a lot of them. Overall a great experience. Not too crowded and the services was prompt. 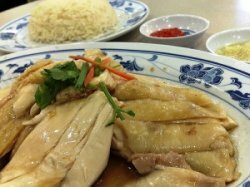 I found the chicken rice was divine, not too oily and yet to be super fragrant. This one is seriously good. Chicken tender. I really enjoyed. Therefore, I brought home a packet of Breast Meat for my girlfriend because she is a fan of chicken. Conclusion: If you want to takeaway, no need to find a good one that is so challenging. 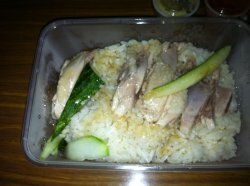 Seriously 5 star packaging is nice as per photograph shown above for the actual boneless chicken rice. Such a simple dish that we often take for granted.